Description: Aunt Lydia's Classic Cotton Crochet Thread is ideal for tablecloths, bed spreads, home decor, apparel, and more. Recommended for crochet hooks size 6, 7, 8, B-1 and knitting needles size 0-1(US). Care: machine wash on the gentle cycle with warm water, remove promptly, roll in towel, and block. 100% mercerized cotton. 3 ply. Size 10, bedspread weight. 300 yards. Shaded Christmas. 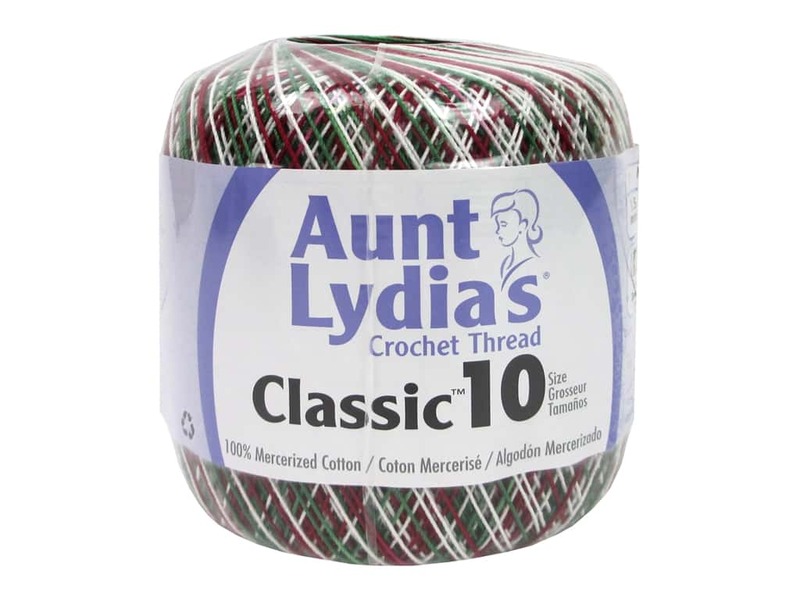 See more Aunt Lydia's Classic Cotton Crochet Thread Size 10. Aunt Lydias Classic Crochet Thread Size 10 Shaded Christmas -- CreateForLess 5.00 out of 5 based on 4 ratings. 4 user reviews.